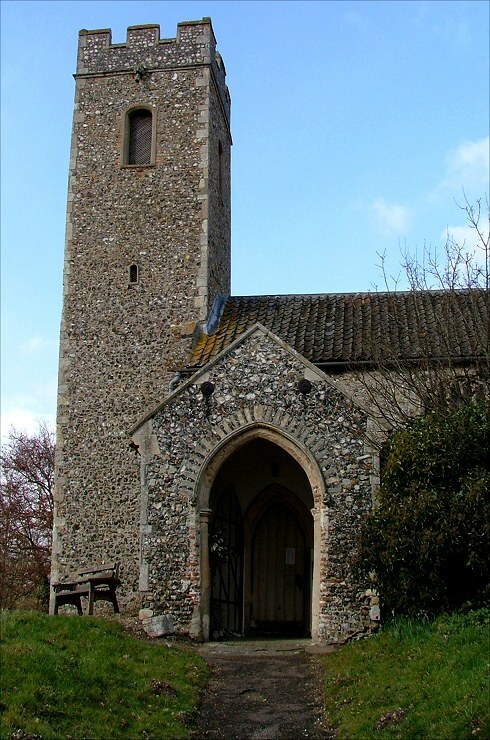 This church was once a familiar sight to travellers on the Norwich to Fakenham road, but the village is now thankfully bypassed, and this little church sits proudly on its mound at the crossroads in the centre. 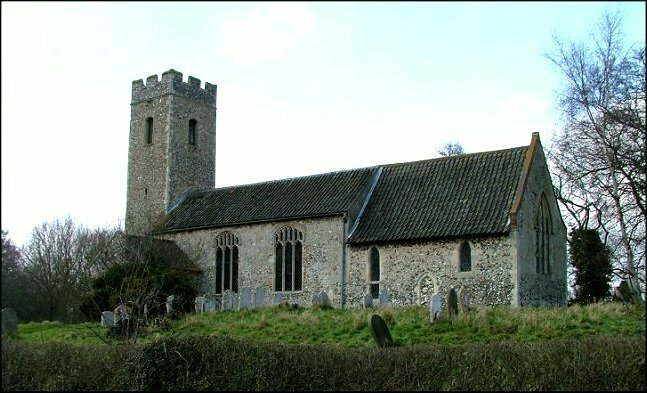 As at nearby Alderford, the church is long and narrow, with a narrow 14th century tower, although this is not as pencil-like as Alderford's. 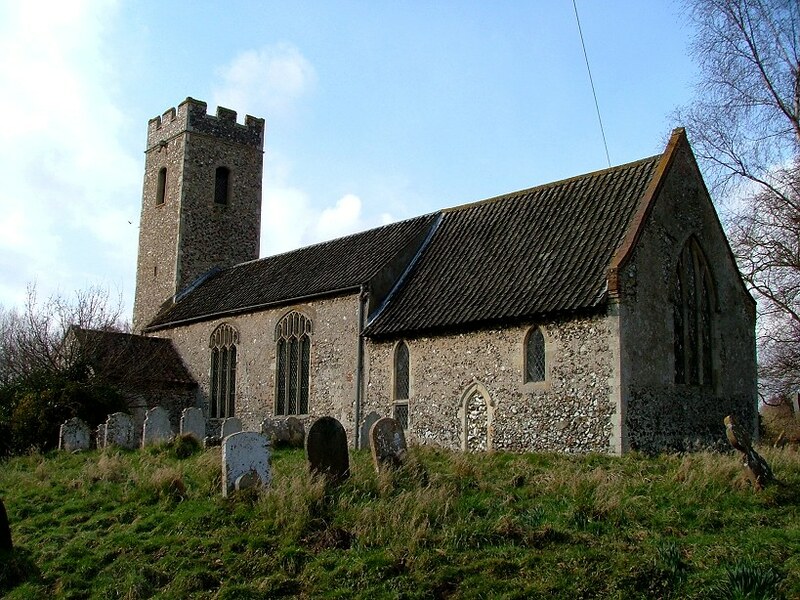 Unlike its neighbour, St Andrew retains a north aisle. 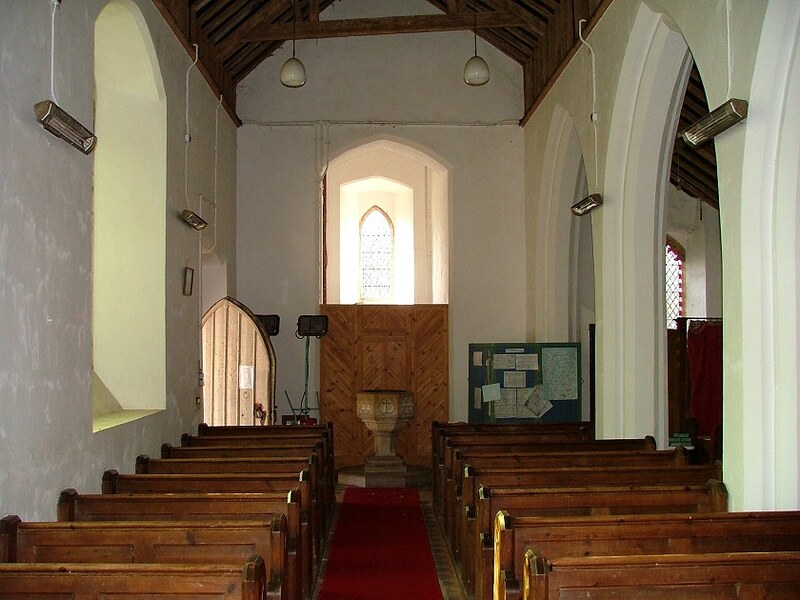 The church is so small that it would seem rather claustrophobic without it. 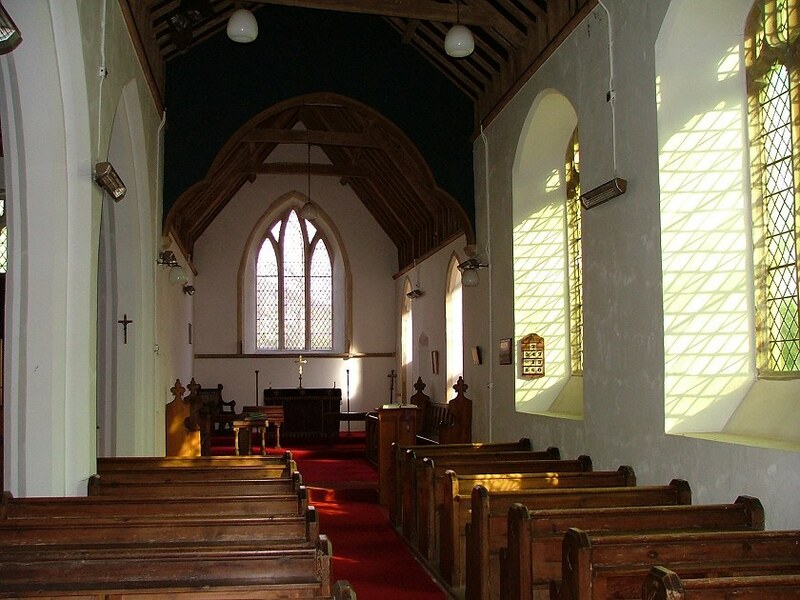 Cautley said that there was not much of interest here, but half a century on it is possible to see St Andrew as a delightful example of a rural 19th century restoration of a 14th century church. 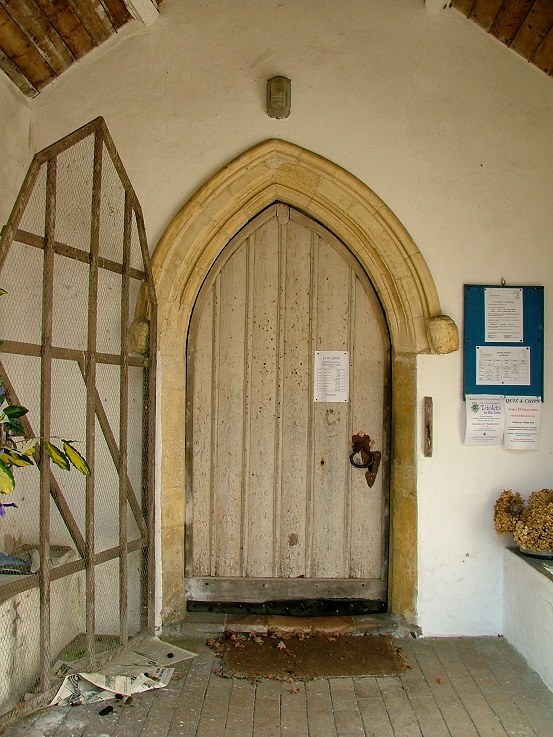 The late medieval period, so typical of East Anglian church building, didn't get much of a look-in here. Some rather anonymous windows in the south side of the nave, and that's it. The porch is not huge, but the roofline of the church is so low that it appears like a small barn against the south side. There's a fine 14th century doorway inside, and Mortlock thought that the triple lancet east window was contemporary and unrestored. 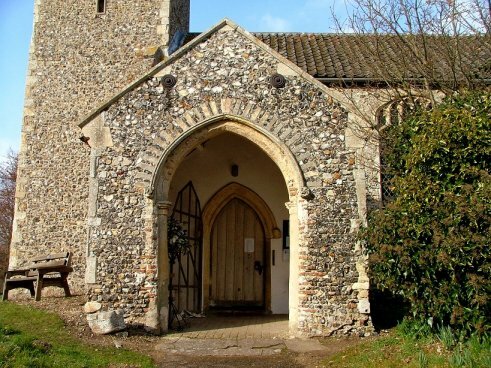 Inside, the church retains much of its rural character, the sense that this building could only be in East Anglia, and would seem quite foreign if you found it somewhere else. 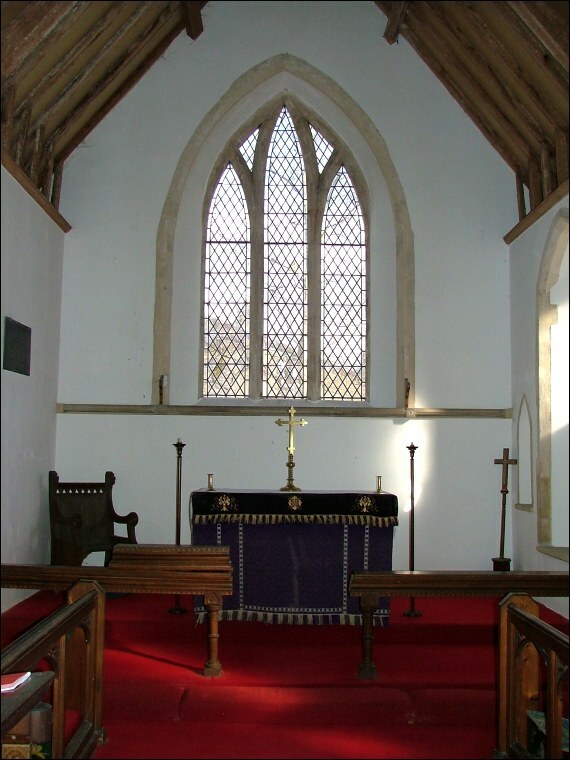 This sounds an obvious thing to say, but so many Victorian restorations of country churches turned them into anonymous, urban spaces that might as well be in Birmingham or Calcutta. That did not happen here, and it is still quite easy to imagine the ploughboy and the wheelwright sitting on the benches in their best clothes on a Sunday morning. 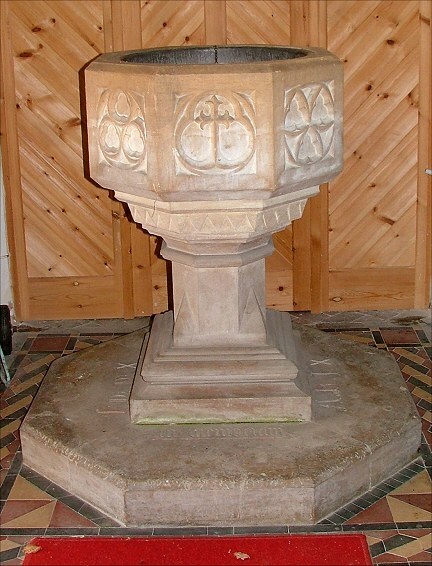 The font is an oddity, with tracery designs that seem to be for clerestory windows in a much larger church. 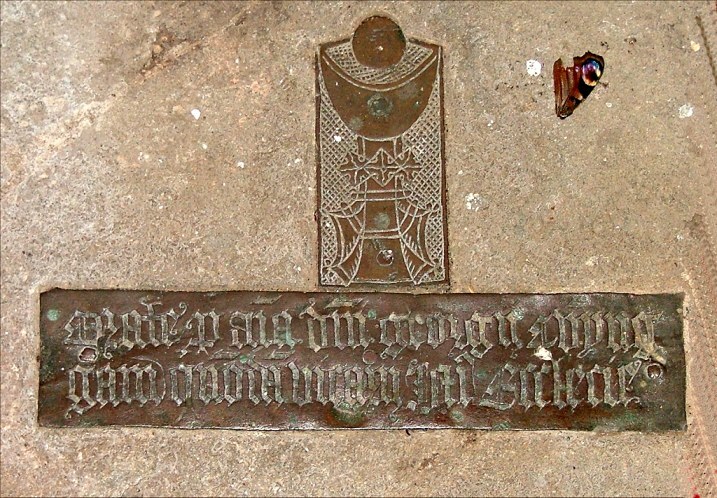 Another intriguing survival, and perhaps the only remainder of this church's Catholic past, is the chalice brass and inscription for the Priest George Conyngham, who died in 1525. This is up in the chancel, and to reach it you'll need to pass an extraordinary construction, the Priest's desk at the west end of the stalls. 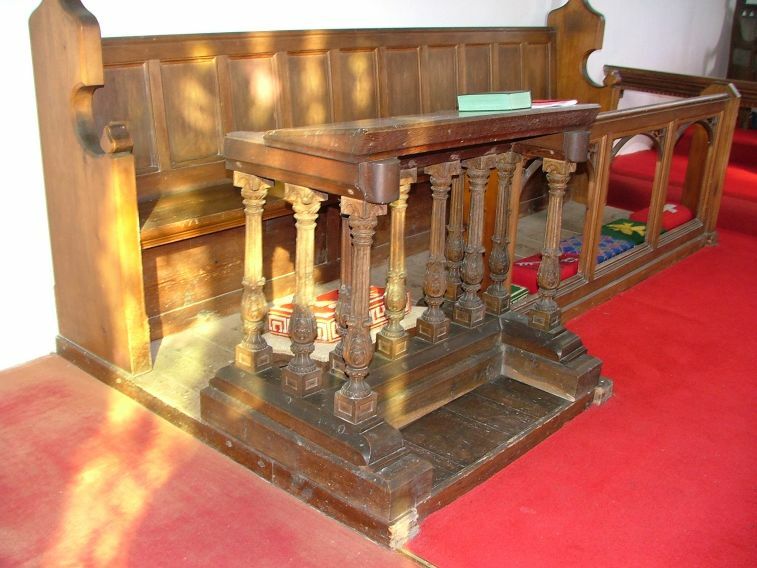 It is presumably 19th century, by local hands, but includes turned balusters that Mortlock thought were 17th century. I wonder where they came from?